Dell EMC on Tuesday introduced its new-generation rugged PowerEdge XR servers, designed to work in harsh environments of industrial sites or even conflict zones. The new machines are equipped with Intel’s latest Xeon Scalable (Skylake-SP) processors along with up to 512 GB DDR4 memory and up to 30 TB of solid-state storage. In addition, the new PowerEdge XR2 features a special common access card that provides an additional way of authentication to drive data encryption and can instantly render the machines useless to the enemy once removed. As computing becomes pervasive, servers get needed everywhere, including severe environments, such as industrial sites, rural areas, conflict zones and others. Dell is among a few companies that offer ruggedized laptops, tablets, and other hardware, so the company was among the first to address such needs. Dell’s first-gen rugged servers were custom-built machines based on the company’s PowerEdge servers and were sold to select customers. Because of growing demand for such machines and because Dell realized that servers for harsh environments have to be designed for extreme conditions from scratch, the company introduced its first “official” rugged server called the PowerEdge R420xr back in 2014. Today, the company is launching its second-generation purpose-built rugged server (which really is the company’s third-gen rugged server platform) — the PowerEdge XR2. Just like the predecessor, the Dell EMC PowerEdge XR2 comes in 1U 20” deep chassis that features shock and vibration resistance, optional dust filtration and uses components certified to work in low and high temperatures (from -5ºC to +55ºC) as well as altitudes of up to 15K feet* (think specialized DRAM modules, SSDs, other chips). Meanwhile, the new machine is completely different from the system launched over three years ago and brings huge performance improvements. The PowerEdge XR2 is based on two Intel’s Xeon Gold (Skylake-SP) processors with up to 22 cores, 30 MB L3 cache and a 140 W TDP. Power consumption is a concern for ruggedized servers because of cooling, so Dell decided to stick to CPUs with a moderate TDP (after all, 44 cores is a lot). The primary CPU socket can be equipped with 10 DIMMs (4 channels at 2 DPC and 2 channels at 1 DPC), whereas the secondary CPU socket can support six DDR4 memory modules (6 channels at 1 DPC), for a potential 512 GB total DRAM per box (previously only 384 GB was supported by the R420xr). Such an unorthodox memory configuration may look a bit odd and physically Intel’s latest Xeon Scalable CPUs can support more memory, but for its rugged servers Dell intends to use certified DIMMs made for severe environments and their capacity is being limited to 32 GB per module today. The new storage sub-system is something that Dell must be proud of: the PowerEdge XR2 supports eight hot-swappable SATA/SAS SSDs featuring a total capacity of up to 30 TB capacity (up from 6.4 TB on the previous-gen model). Optionally, Dell may equip the system with self-encrypting SSDs, but by default the machine will encrypt the drives itself and will require Dell’s common access card to access/decrypt them. Once such card is removed, the drives cannot be accessed by unauthorized personnel or enemy, which will come in handy in various conflict zones. Depending on the needs, the PowerEdge may be equipped with a variety of RAID controllers. Two CPUs, multiple memory modules, and eight high-end SSDs consume a substantial amount of power. Dell equips the PowerEdge XR2 with a 550 W redundant PSU, which will feed the aforementioned components. Meanwhile, due to volume restrictions, TDP limits, and power constraints, the new machine will not support any accelerators, just like its predecessor. This may be a pity for oil and gas exploration applications many of which rely on NVIDIA’s Tesla accelerators, but typically oil and gas companies can afford to build custom hardware for their exploration needs. Depending on exact configuration, the Dell PowerEdge XR2 machines can be equipped with 1Gb, 10Gb BASE-T, 10Gb SFP+, and 40Gb QSFP+ networking cards. 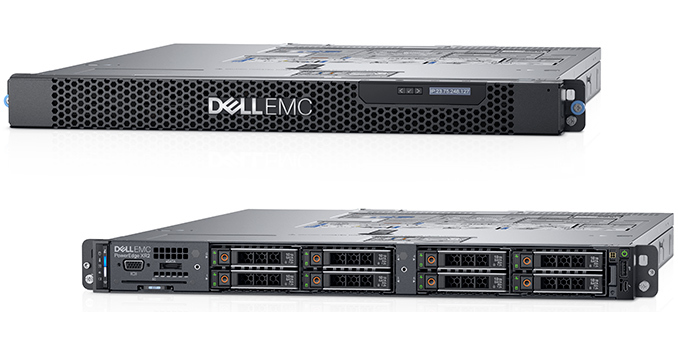 The XR2 machines are IPMI compliant and can support Dell’s proprietary iDRAC9 remote management. As for operating systems, expect the machine to be compatible with Microsoft’s Windows Server as well as various Linux builds. Up to three drive form-factor storage devices. 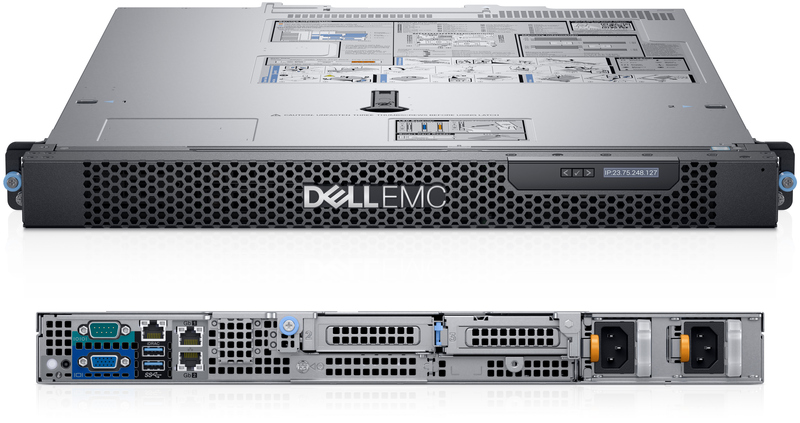 Dell EMC will sell its PowerEdge XR2 machines directly as well as through resellers and OEMs who may adapt them for particular needs by loading software and perform other customizations. OEMs can also install their own bezels and load BIOS with their logotypes and/or features. *Formally, the machines are compliant with MIL-STD-810G and MIL-STD461G requirements for temperature, shock, vibration, altitude, and conductive/radiative immunity, as well as DNV, IEC 60945 requirements for maritime navigation and radiocommunication equipment when it comes to temperature, humidity, vibration, and EMC. A machine like this is typically in a special server room, which is extremely cool and clean. This has been done this way for decades - I remember working in IBM Mainframe center in late 80's and you need a coat. *Only* a coat? Welcome to my world. I've had hat, coat, and scarf on from 10am this morning to 8pm this evening. Its odd going outside to get warm. Being someone that has worked in dusty environments for years and one of the exact situations these servers target -- you have to remember to clean them. Honestly, though, I've tore down some setups with equipment that has been running for years without issue. Moving them from one location to another to wipe them, a lot of dust is loosened and booting back up it looks cartoonish the dust cloud that shoots out. The moment a Dell server reaches a certain age... Dell could really do with an option to remove the stupid firmware white list that excludes a PAYING customer using hard drives that are not from Dell. The restriction is ridiculous (but I do understand why they have to do this).